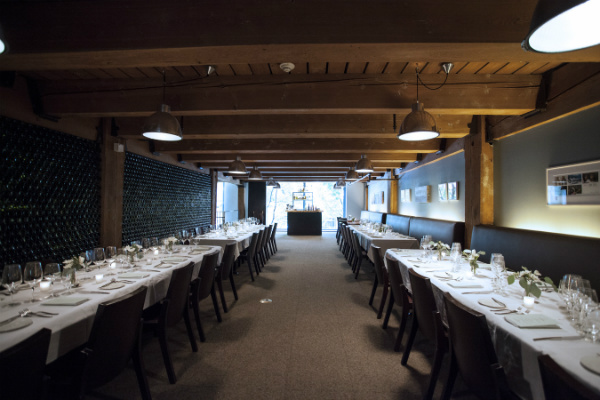 L’Heure Bleue, the private dining room at Bluehour, is an elegant and intimate space to celebrate. The dining room features a wall of 2500 backlit wine bottles that provide a warm glow, perfect for up to 65 guests. Their Chef specializes in upscale NW cuisine using European techniques and influences.